Cost: $45.00 plus pattern and supplies. De-mystify with knowledge and skill, finding the FUN and EASE of reverse needle-turn applique done the Eye of the Beholder way. Learn all the steps in the process of trace, baste, snip and stitch, giving you crisp points and graceful curves. 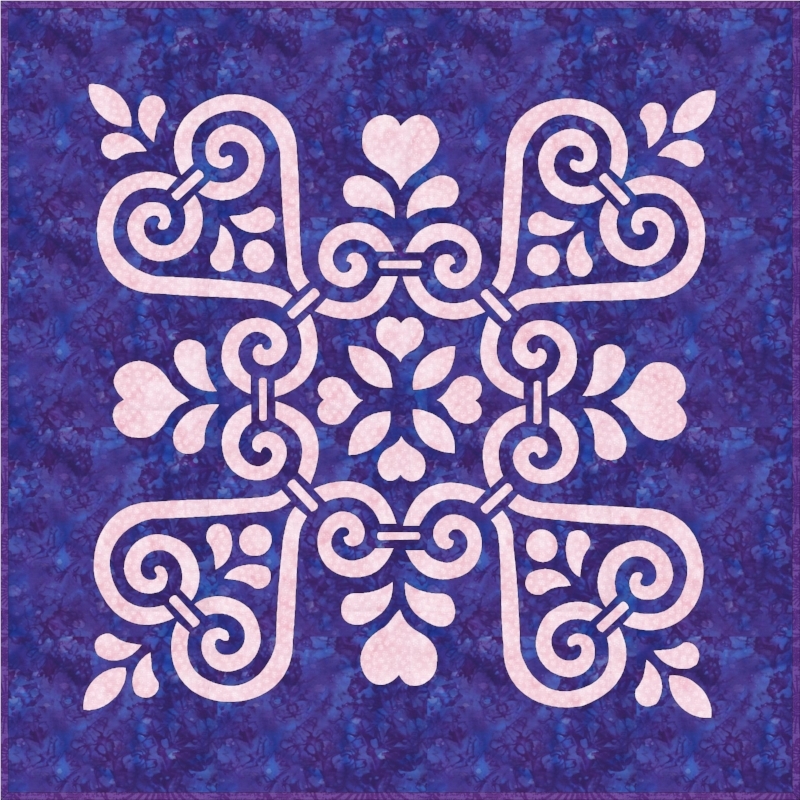 See the beauty of the Sweetheart Sorbet, medallion XII (26” x 26”) revealed as you sew. Come be empowered as you make something beautiful! Make it as we did, or re- imagine it in your colors. Learn with others and experience the fun and beauty of reverse applique by hand. Sweetheart Sorbet pattern by Eye of the Beholder Sweetheart Sorbet medallion XII is a great beginning pattern with or without the added applique. Pattern includes full-sized pattern pieces and reverse applique instructions for creating by hand or machine, with or without the added applique.